Earlier this month, Chevrolet showed off its refreshed 2019 car lineup. 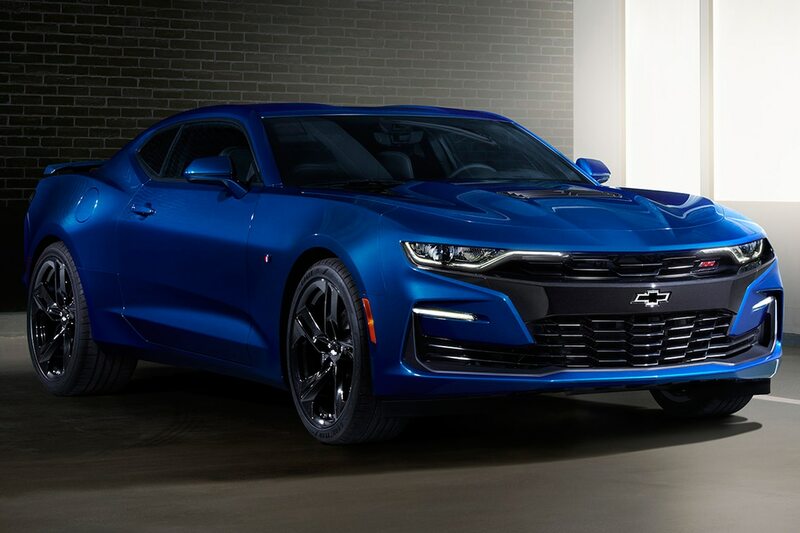 The Spark, Cruze, and Malibu all got updated styling, but it’s the Camaro’s new front end that’s generating the most buzz. At the event, we spoke with John Mack, the head of design for the new Camaro, to get a little more information on the Camaro’s new look. Here’s what we learned. It isn’t immediately obvious, but according to Mack, there’s a little bit of the original Camaro in the new front ends. “The RS and base LT model they actually have a design that kind of has a homage to the first-gen where you have the larger center-opening grille. The lower grille also, that is downplayed,” he said. In the past, the RS package has essentially been a cosmetic upgrade. That changes for 2019. “The outboard air curtains are functional. Air goes in and comes out the other side, and that will also help the aerodynamics,” Mack said. “We also have functional extractors in the lower diffuser.” Similar functional features were used on the SS, as well.